High School Teens from Clinton Central High School talk about what they learned from Jeff Yalden. 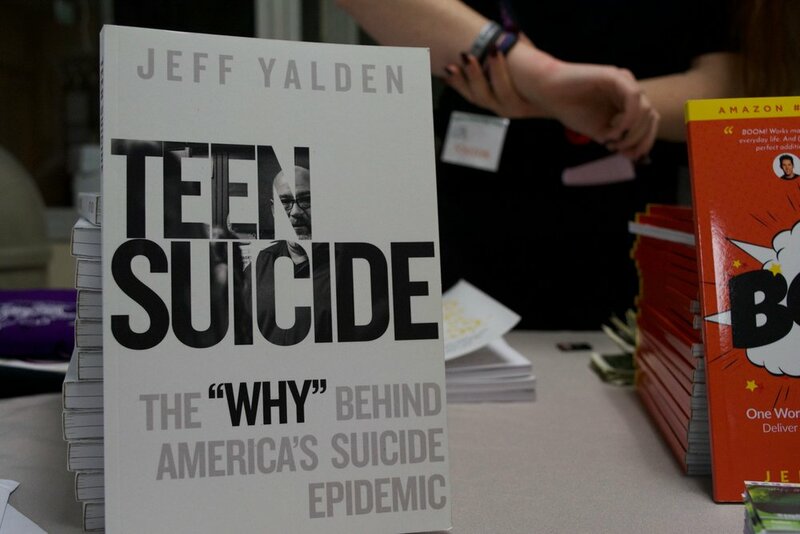 — The Jeff Yalden Foundation, Inc. 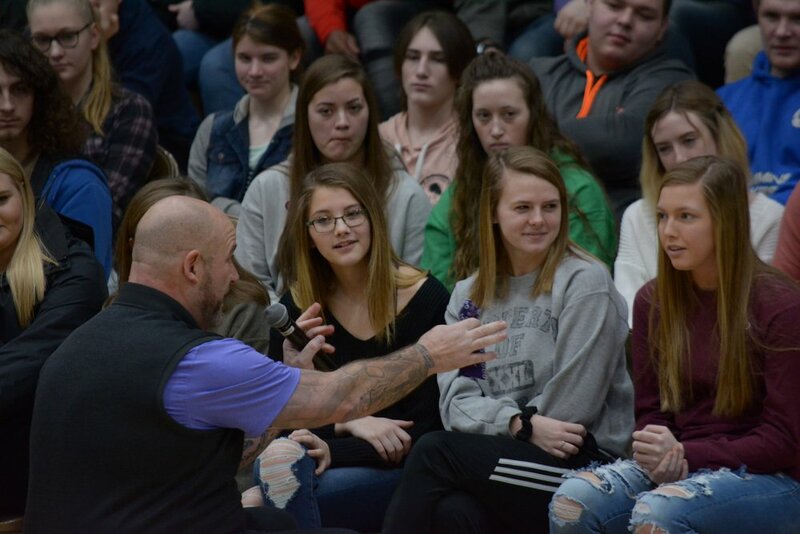 Teen Mental Health Motivational Speaker, Jeff Yalden visits Clinton Central High School in Indiana. What the students took away from Jeff’s talk. 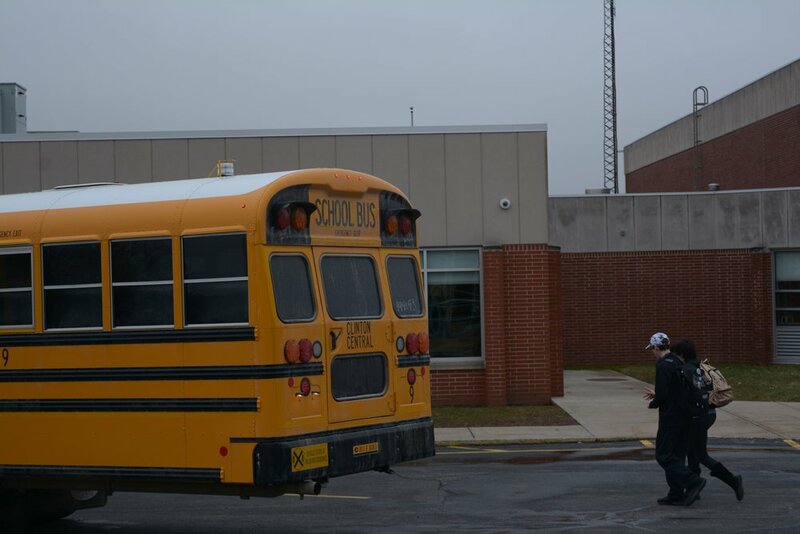 Youth Mental Health Motivational Speaker, Jeff Yalden visits another Indiana High School - Clinton Central. He spends the day speaking to the teens, teachers, and leaving a legacy. Often times we ask what the students take-aways are after Jeff visits. 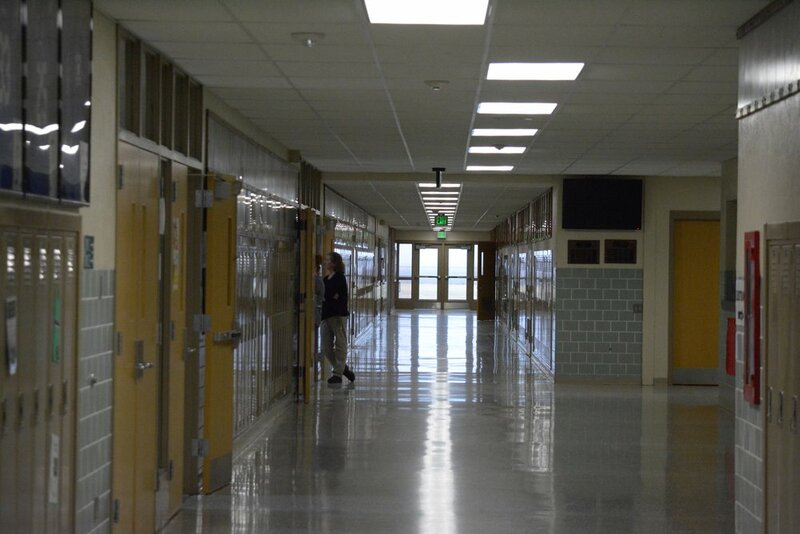 This particular school, Clinton Central High School, Indiana spent some time reflecting on Jeff’s visit and here are written testimonials they shared with Jeff’s office about his visit to their school. I learned that life is not a race, but it is a journey. There will be times when things get rough but you can’t focus on where you’ve been. Focus on where you’re going. I learned that everything will be OK.
Cherish all those around me. I learned to try and do things right the first time, instead of waiting for second chances. The most important thing I learned was to apologize, forgive, and let go. I know that as I forgive I will see my mental well-being improve. One thing I learned was that it is okay not to like who you see when you look in the mirror. It should be your own personal goal to change that mindset. Only you can do that. I’m going to start changing that today. I learned that in times of grief we must remember we aren’t the only ones. Don’t be selfish in grieving and don’t go through it alone. We all fall on hard times. The only way to fix it is to keep moving forward one step at a time. You need to be happy with yourself on the inside first. Jeff taught me that it’s important to make your bed everyday. I learned in today’s convocation to always respect those around you and that sometimes you don’t get a second chance. Jeff inspired me to open up on hard to talk about subjects. I learned never focus on where you’ve been, but focus more on where you are going. I learned that you have to TAKE TIME TO THINK. I like that and I’ll always remember those words. When things go wrong, don’t get down on yourself. Surround yourself with friends and family who will help you. Strive to be the best version of you that it’s okay if people don’t like you. Don’t have a victim mentality. I learned that everyone needs to fix their own problems before blaming others. I see a lot of problems in relationships because people are too proud to look at themselves and change what needs to be changed. I learned today that the world doesn’t owe me anything and that what I have is a reflection of how I act. I learned that there is always at least one person I can count on and to never give up and remember the 4T’s; TAKE TIME TO THINK. Today, I learned that you can take a pause when faced with hardship, but that it shouldn’t hold you back forever. It’s alright to let something stop you for a little, but you need to continue forward and not look back so much. Setbacks are okay, I learned today. I also learned that it’s important to stop and help pick somebody up. Don’t judge someone because we know less that 5% about them. I learned it’s important to forgive people for your own well-being. Also, when in high stress situations you should TAKE TIME TO THINK and respond rather than reacting. Two things I learned from Jeff is to forgive yourself and also how to take a timeout when you need it on your journey through life. I learned to take time to think before reacting and regretting in situations. Jeff taught me to not judge someone based on how they look or how they act. The biggest thing I learned is to focus more on getting to know myself. If I do this, I will be able to accept that I can be the cause of problems and it is my responsibility to say, “I’m sorry” to the people that I hurt. I learned from today’s convocation that it is okay to fail as long as you get back up and keep trying because you can have whatever you want in life, but you have to be willing to put in the time and effort to reach those goals. Learn to accept yourself is one of the biggest take-aways from Jeff’s talk with us. I learned to let go of the things that stand in my way and I can’t control. I learned to not wait for someone or others to validate me and that I am responsible for that everyday. I learned from Jeff that what you expect will affect how you live your life. If your actions are not motivated by worry and self-doubt you can meet positive, unexpected results instead of being faced with disappointment. It’s okay to look at where you’ve been but to focus more on where I am going. Today I learned that when I look in the mirror, I should spend time thinking about who I am rather than what I look like. I learned that everyone is battling something. I need to spend more time respecting them rather than judging them. I need to help more. I learned today that life isn’t always easy, but a positive outlook can make a difference. I also learned to do better and look for more meaningful relationships, fulfilling and a more rewarding life. The world owes me nothing, so I have to take action to create my successes. I learned that it is possible to be proud of living with a mental illness. When life knocks you down, you get back up and put one foot in front of the other. Thank you for your kind words. Let’s make sure this is now a new normal as we all move forward in life. Thank you Clinton Central for an amazing visit. Jeff loves Indiana.